I’m sure you’ve been wondering what ever happened to my knee…right? Well, regardless, you get the update anyway! 1. Continue with the viscosupplementation treatments (so far only one since the season started). 2. 2000 mg of glucosamine sulphate a day. 3. 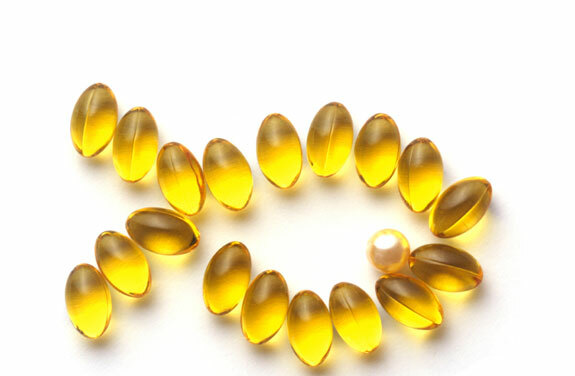 2000 mg to 3000 mg of fish oil (Omega3) a day. 4. A bunch of frozen red berries every day. In two words: not conclusive. However, I’ve learned some things this season that seem to be valuable – 1) this problem is not going away, and 2) it appears to be manageable. Whether because of the shots I got half a year ago, or the extra stuff I’ve been doing, the knee is responding generally better than before. The pain is just pain and it goes away, either during the ride or afterwards. It’s temporary. The pain I feel doesn’t seem to lead to a worsening of my problem (the osteoarthritis). What I mean is, I can have pain on an entire ride one day and go out the following day with nothing at all. For the time being at least, I don’t feel like the knee is getting worse from the abuse I pile on it 6 days a week. My imagination tells me that the needles (viscosupplementation) are doing the most good and the glucosamine / fish oil / berries help to prolong or maintain the goodness. I also seem to feel a bit better when I up the fish oil intake, but can’t be sure. I hope you’ve enjoyed this little update and if anyone else out there has a story to tell about this problem, I noticed that there are many silent visitors to my articles on knees and arthritis, so I’m sure it would be viewed with interest by more than just me! This entry was posted in Cycling and tagged osteoarthritis and cycling, Viscosupplementation. Bookmark the permalink. I don’t have a clue about glucosamine but fish oil and fresh berries can only be good for you. Hope the management programme continues to go well. Thanks, Steph. 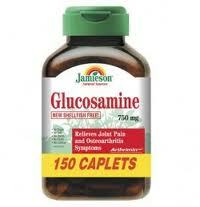 I think you’re right about those two things and glucosamine appears to be harmless, as well. Your description of the pain being unrelated to cycling rings very true with me. I often started cycling with joint pains and came home with none. Cycling kept my joints going and not be able to cycle now is making them hurt. Good luck and use good sense. You will know if what you are doing is hurting the joints in a bad way and then you will have to make serious choices. I am sure you’re right, TP, and have started planning for that day (although any amount of planning probably won’t do it) of ‘serious choices’. To be honest, the knee hurts much more when I walk then when I ride, which I suppose is good news for the cyclist in me. Not the best for the hiker, though. Luckily it’s relatively mild at the moment and maybe it’ll stay that way for a long time. Hope you get back on the bike for good soon. Very interesting. Best of luck to you as you work through this. Thanks, Steve. I have a feeling you’ll see more articles about this in the future. Appears to be here to stay! Thanks for posting these reports. My husband asked his doc about the viscosupplementation (which I learned about from you) and the doc says he can probably get them. Hopefully they will also help him some. I’ve read that the treatment is relatively unknown in North America, but seems to have been around for ages in Europe. Maybe it was developed by a European lab or something. Like I said before, they worked wonders the first time I got them; this time a bit less so, perhaps, but miles better than without. i’d love to hear how it goes with your husband – it’s hard to find personal testimonials online. Thanks for sharing your knee issues with us…..it’s helpful to hear how others manage through health issues. One never knows when this information will be more than tourist information. Good luck Gerry. Thanks, Rob. That was my hope. Like I said to Suze above, I couldn’t find much on the internet about the treatment I got done, or even osteoarthritis and cycling together, really. Hopefully someone out there finds it and gives their story, too.